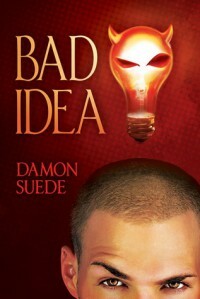 Bad Idea is brilliant, witty and very, very good. The main characters are likeable and real. The plot is very interesting. The writing is excellent – how I loved to read a real, smart dialogues, with inside jokes! It’s all we, the readers, want, and we got it, nicely wrapped in fast paced, rollercoaster-style story. The book is the work of art, and I mean it. It reminded me of Kevin Smith’s Chasing Amy somehow. And I loved Chasing Amy. And now I love Bad Idea.